Ferrari will begin European sales of the F12 Berlinetta in September. U.S. shipments will begin in March 2013. Editor's note: Formula One cars use 2.4-liter normally aspirated V-8 engines. A previous version of this story misstated the number of cylinders. 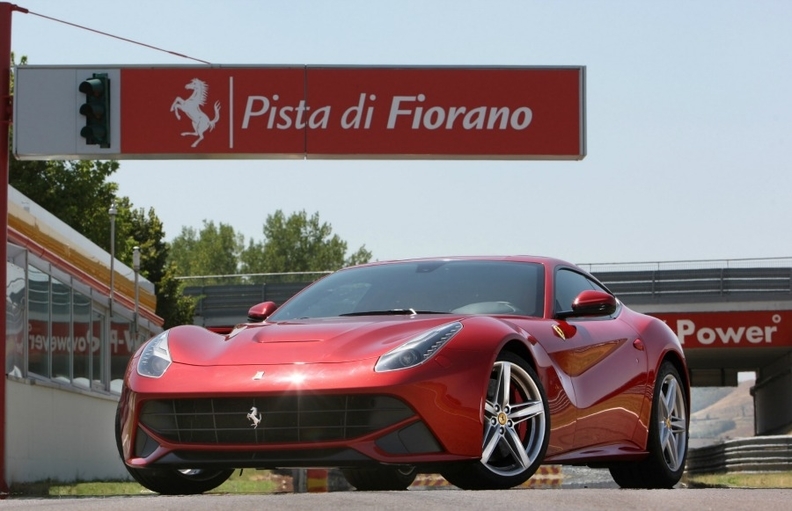 FIORANO, Italy -- Ferrari Chairman Luca Cordero di Montezemolo said demand for the company's supercars continues to rise despite the debt crisis in Europe, fears of a new recession in the United States and a slowdown in China's economy. In 2011, Ferrari set new highs for unit sales (7,195) and operating profit (321 million euros), resulting in a 14 percent operating margin. Through June, Ferrari's sales were up 7 percent to 3,664 compared with the first six months of 2011. More than a quarter of Ferrari's first-half sales were in the United States. Sales of the Ferrari's more expensive V-12 models rose by 66 percent in the first half, boosting the company's operating profit by 13 percent to 152 million euros, equivalent to a 13 percent operating margin. Montezemolo said that the Fiat-owned subsidiary aims to acheive record profits in 2012 despite having already made a significant investment in a new engine for its Formula One team. "The new F1 engine is a considerable burden for a company as small as Ferrari," Montezemolo said on the sidelines of an event to present the new F12 Berlinetta coupe at the company's test track here. Beginning with the 2014 season, F1 racing will switch from the current 2.4-liter normally aspirated V-8 units to 1.6-liter turbo V-6s. Building a new F1 engine costs from 40 million to 60 million euros and normally take a couple of years of development, racing experts say. Sales of the 740-hp, 6.2-liter F12 Berlinetta will begin in September in Europe and in the United States from March 2013. The company plans to build about 800 units a year of the 274,400 euro model that Montezemolo calls "the quintessential Ferrari."